Four children were among the victims of the accident involving a boat carrying 46 migrants from the northwestern Turkish port of Canakkale to the Greek island of Lesvos, Dogan news agency reported. Twenty people were rescued and 13 people were still missing, the report added. There was no information on the nationalities of the migrants. 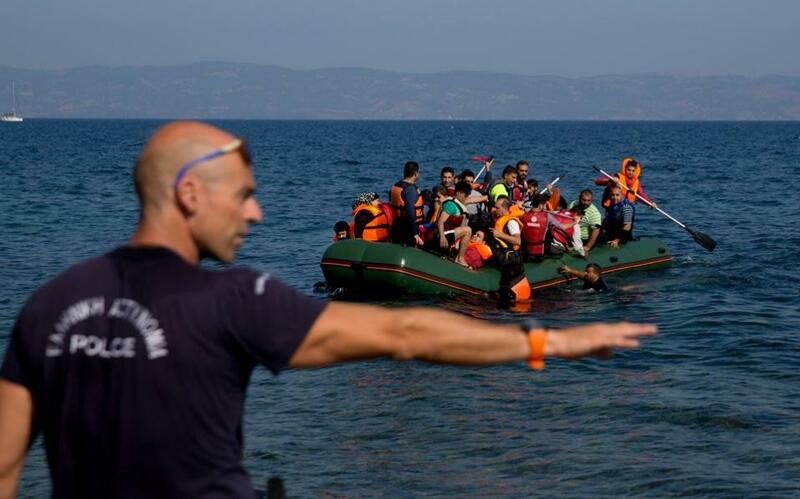 The sinking was the second Sunday in the Aegean Sea, with the Greek coastguard reporting another two dozen feared missing from a boat that got into trouble close to Lesbos. The coastguard said it had rescued 20 people spotted in the water by a helicopter deployed by EU border agency Frontex, but the survivors said another 26 people had been in the boat. On Saturday, a five-year-old Syrian girl died in another attempted crossing from Turkey to Greece -- a perilous journey that has claimed hundreds of migrant lives this year.